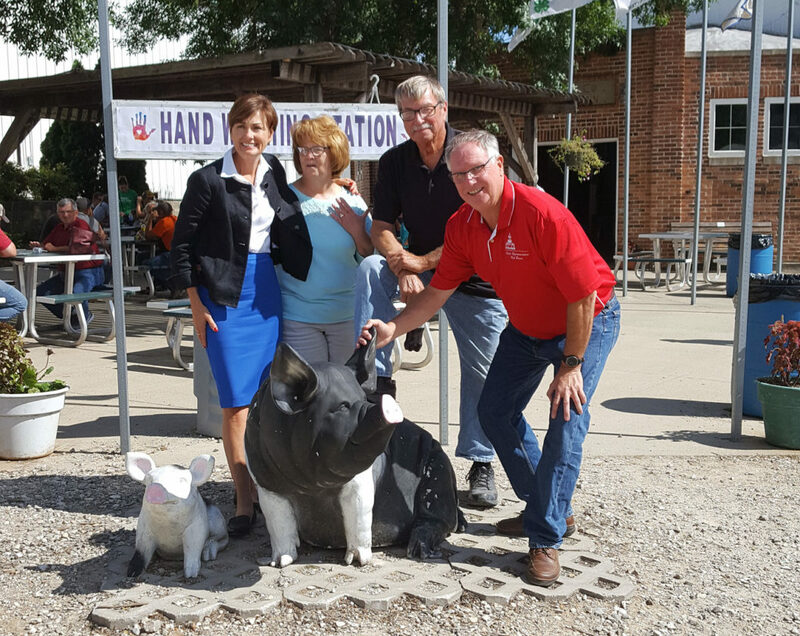 Governor Kim Reynolds visited the Hamilton County fair recently. The governor greeted many fair visitors and exhibitors. With her on the walk around were Hamilton County Republican candidates. Pictured with Reynolds are treasurer candidate Judy Warwick, supervisor candidate Rick Young and Robert Bacon. who is seeking re-election as district 48 representative.